See How To Check KSUSTA Admission List — The 1st and 2nd list of candidates offered provisional admission into the Kebbi State University of Science and Technology, Aliero (KSUSTA) various DEGREE programmes for the 2018/2019 academic session is out. 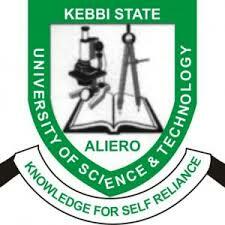 This is to inform all the prospective students of the Kebbi State University of Science and Technology, Aliero (KSUSTA) that the management of the institution has released the 2018/2019 academic year first batch admission list. How To Check KSUSTA Admission List. Go to KSUSTA Admission Status checking portal at http://www.ksusta.net/admissionlist. Supply your name in the Search box and click on the Search Button to access your admission status. Finally, click on ‘Check Admission Status‘ to access your KSUSTA admission status. Successfully admitted? ACCEPT or REJECT your admission offer on JAMB CAPS portal — How to Reject/Accept Your Admission on JAMB CAPS. Congratulations to all the candidates that made it to KSUSTA Admission List for the 2018/2019 academic session.